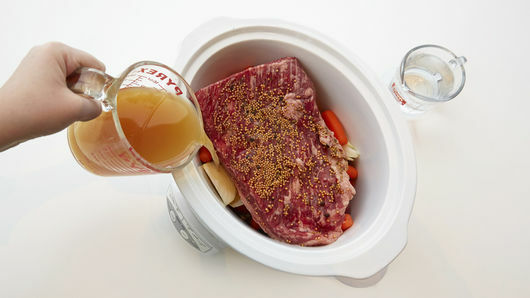 Place potatoes, carrots and onion in 5 to 6 1/2-quart slow cooker. Top with corned beef brisket; sprinkle with contents of seasoning packet. Add apple juice and enough water to just cover brisket. Cover; cook on low setting for 10 to 12 hours. About 40 minutes before serving, remove beef from slow cooker; place on serving platter and cover to keep warm. 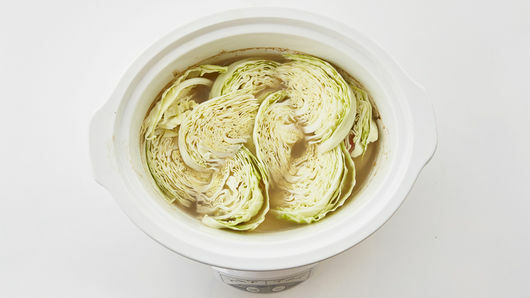 Add cabbage wedges to vegetables and broth in slow cooker. Increase heat setting to high; cover and cook an additional 30 to 35 minutes or until cabbage is crisp-tender. 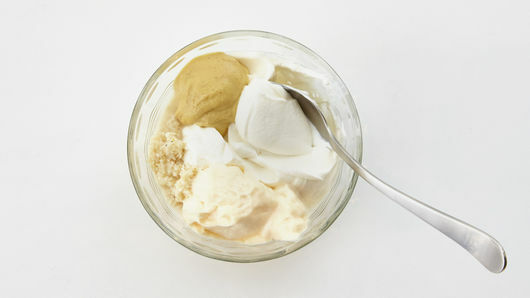 Meanwhile, in small bowl, combine all horseradish sauce ingredients; mix well. To serve, cut corned beef across grain into thin slices. With slotted spoon, remove vegetables from slow cooker. 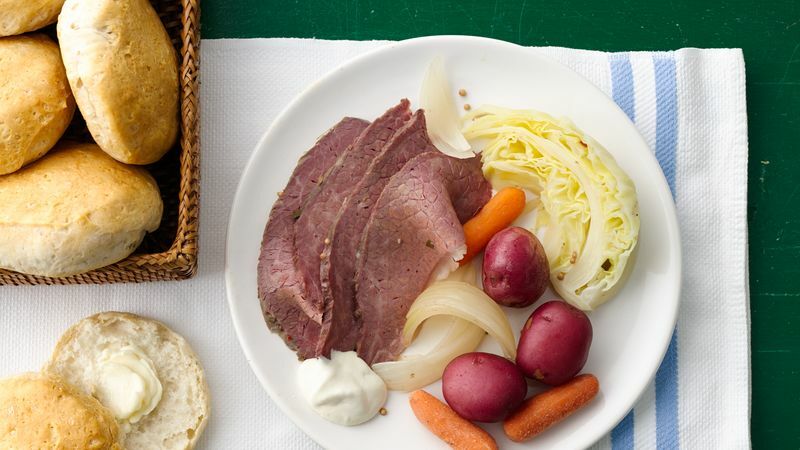 Serve corned beef and vegetables with sauce.